Efforts to address staffing concerns at two of East Yorkshire’s biggest hospitals appear to bearing fruit, after Hull University Teaching Hospitals NHS Trust has revealed more than 50 student nurses will be interviewed this week for permanent roles. The Trust, which provides hospital care at both Hull Royal Infirmary and Castle Hill Hospital in Cottingham, has been working hard in recent months to revitalise its image and create a better place to work. As a result, staff are already rating the Trust above the national average for flexible working opportunities, and the Trust’s efforts to improve organisational culture have received national recognition. On a recent visit to a Hull University recruitment fair, Trust representatives spoke to scores of second and third year student nurses about their areas of clinical interest and their plans for their future. This investment now appears to be paying off, as 53 third year nursing students who are due to qualify this year will be interviewed this week for permanent roles with the Trust once they complete their studies. 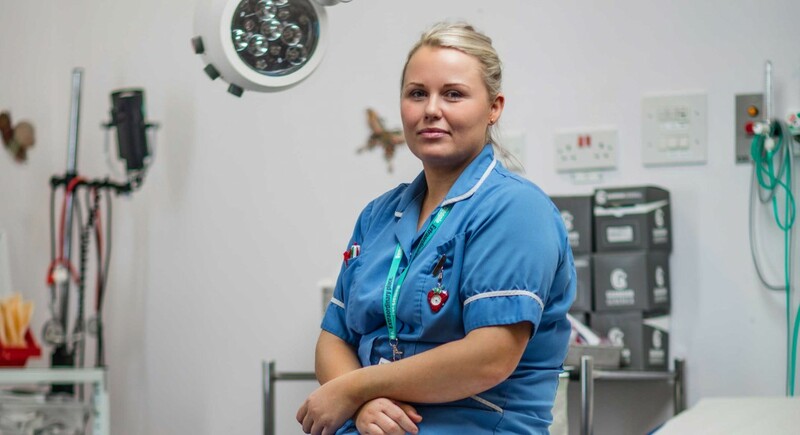 “Hull is not alone in experiencing a shortage of nursing staff; this is an issue which hospitals and NHS organisations across the country are also facing. “In the past, we have perhaps suffered a little bit from people completing their clinical training in Hull, and then wanting to move on to bigger cities like Leeds, Manchester or London, where they feel there is more going on. “We know we have to think and act differently to attract people to the city, but perhaps more importantly, to get people who have trained in Hull to stay in the area once they qualify. The upcoming City of Culture celebrations are already making Hull a more attractive proposition, but we also need to start collectively talking ourselves up if we want to attract and retain the best nursing and medical staff. “”It does now feel that the tide is turning and I’m delighted to say that we’ll be interviewing more than 50 student nurses this week with a view to offering permanent positions when they qualify in the summer. As well as filling existing vacancies, we have also created extra nursing posts around the Trust to enable us to provide the highest standards of care, and we are now expecting to be able to appoint to areas such as elderly care, theatres, and oncology to name a few.